What do you know about French poet, Charles Baudelaire? 1. What was Charles Baudelaire's middle name? 2. Baudelaire was also a translator. Which of the following author's works did he translate most? 3. His most famous book is Les Fleurs du Mal (The Flowers of Evil). However, what other names did he give to this famous volume before deciding on the eventual name? A. "Les Limbes" and "Les lesbiennes"
B. "Bénediction" and "Les Limbes"
C. "Fusées" and "Les Paradis Artificiels"
D. "Les Paradis Artificiels" and "Le Spleen de Paris"
4. What was the name of his stepfather? 5. What are his principal literary movements? 6. What famous author wrote a controversial essay about Charles Baudelaire, published in 1947? 7. 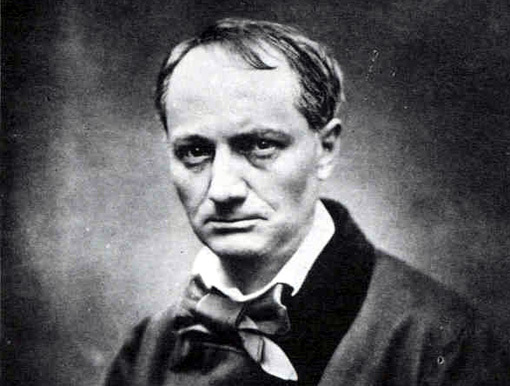 Charles Baudelaire was persecuted under the Second Empire in France. What was the reason? C. insult to public decency for the publication of "The Flowers of Evil." 8. And what were the consequences of his prosecution? A. he had to pay 300 francs and delete six poems of his work "The Flowers of Evil"
B. he had to pay 200 francs and go in prison for 3 months. D. a month in prison. 9. At what age did Charles Baudelaire die? 10. What's the name of the cemetery in which he is buried?